You may recall that I finished my Farmer’s Wife quilt top back in January. I knew that I wanted to have something special done for the quilting, so I sent it to the amazing Natalia Bonner of Piece n Quilt. Get ready for an overload of photos, because she did an AMAZING job!!! And she amazed me with the crosshatch along the dotted lines in the background on the bottom of this block. It’s hard to see in this photo, but that was genius! If I were to choose just one favorite…this is probably it. 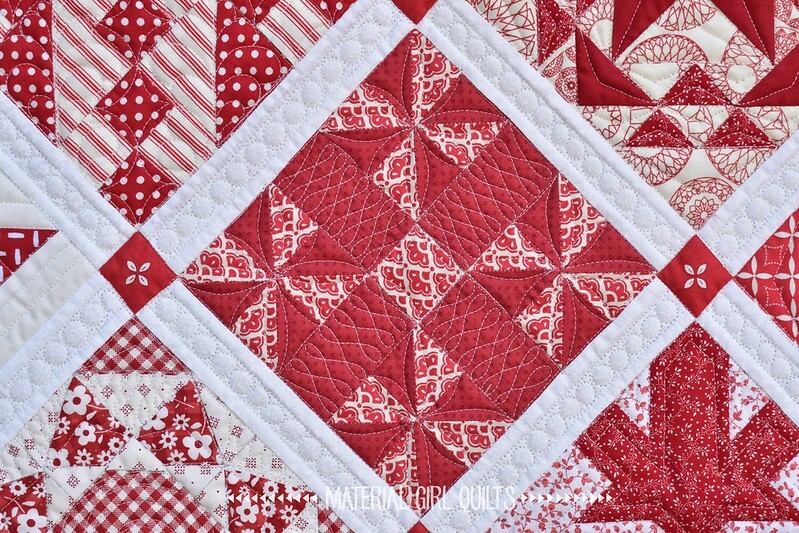 It was a favorite before it was quilted, but the texture Natalia added makes it even more of a stand out to me. 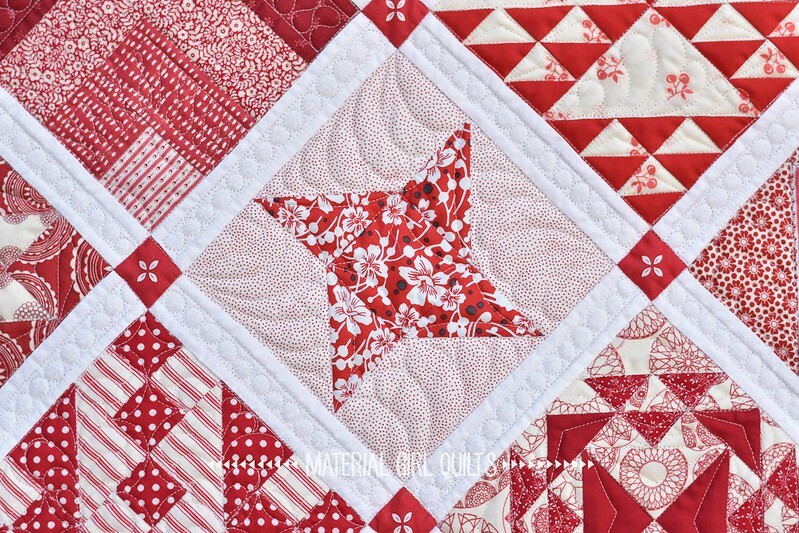 For the back I used a red and white Squared Elements print from Art Gallery Fabrics. Thankfully I had “just” enough in my stash and I think it works perfectly. I am participating in a Farmers Wife EPP Sew along that is starting in August. 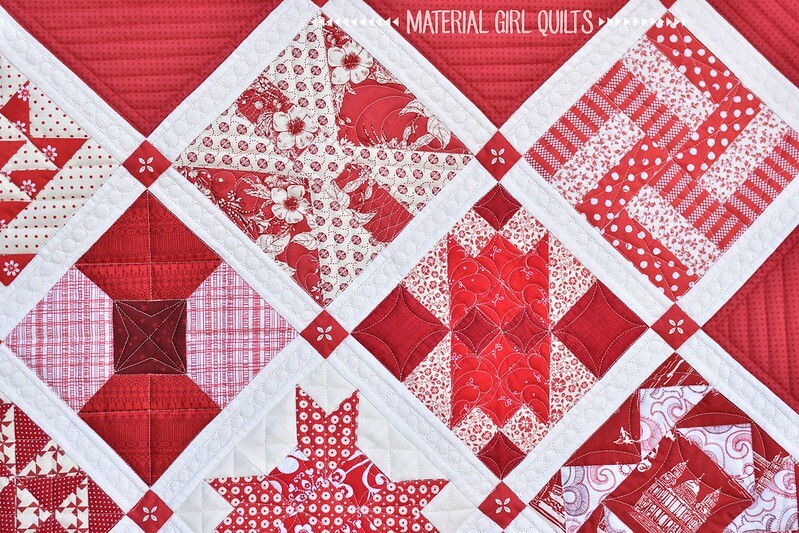 On FB many are talking about what colors they want to use, one in particular was considering red/white. 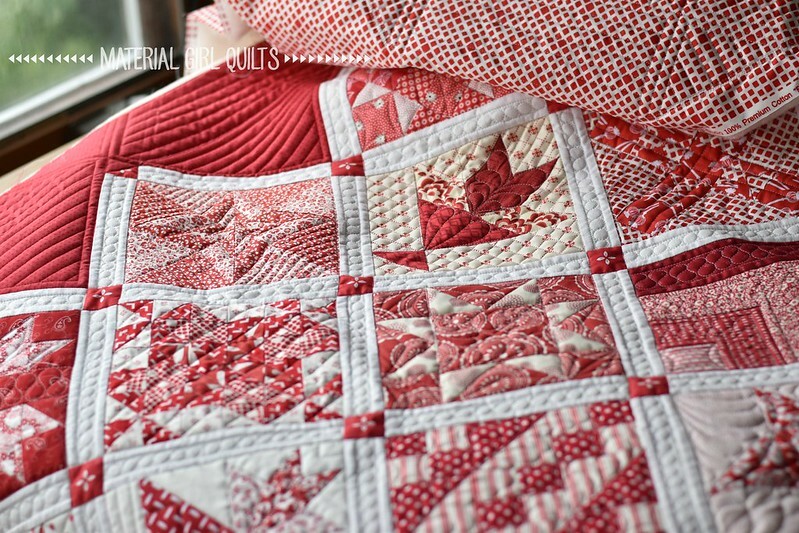 I suggested they look on Instagram at your quilt to see an example of a stunning red and white Farmer’s Quilt. They agreed with me, it’s beautiful. Absolutely gorgeous! Congratulations on a beautiful job!! 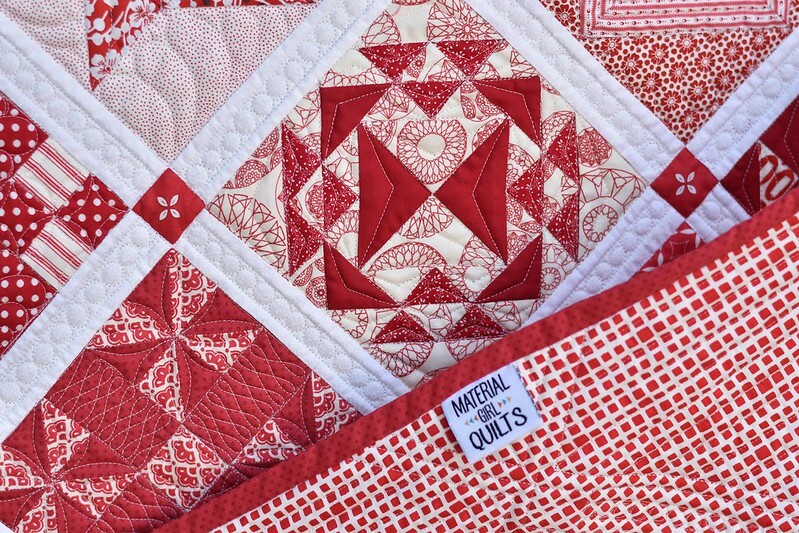 The quilting is most remarkable. And so is the quilt. 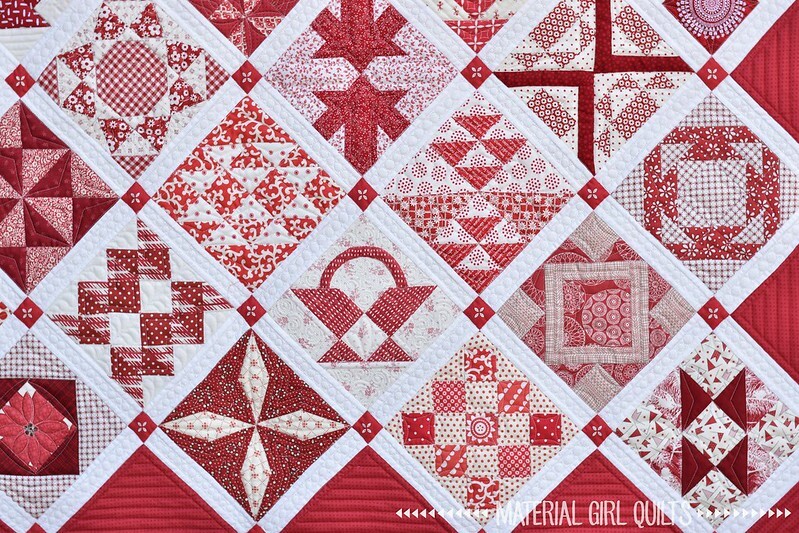 The quilt is spectacular!! 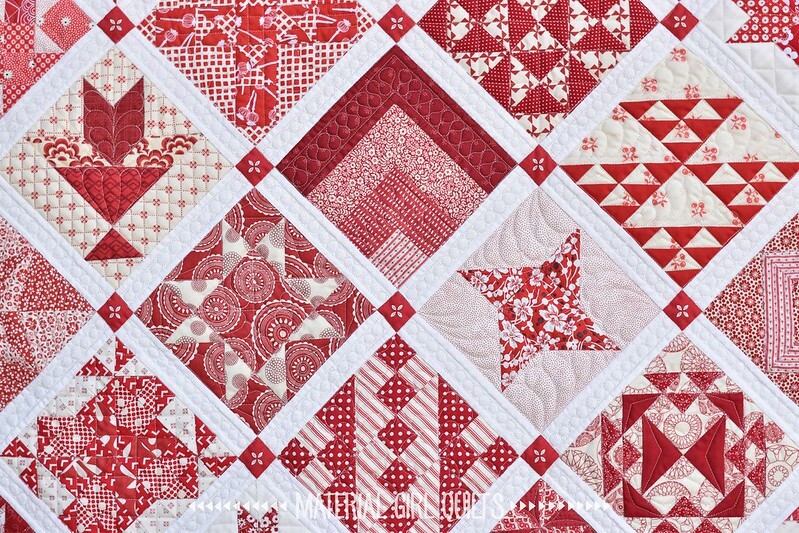 The red and white and the quilting – very unique. 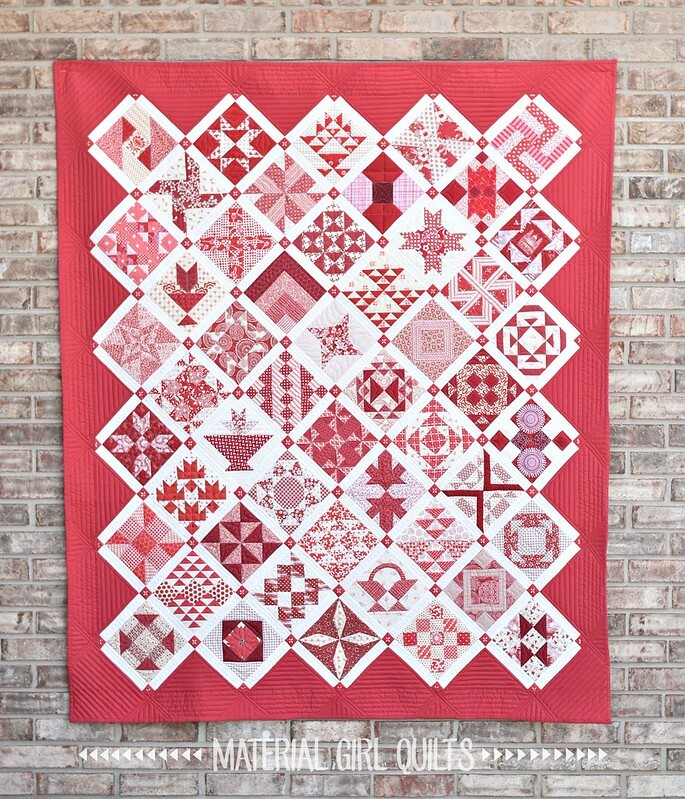 Another fabulous quilt. You should be very proud of this quilt. You did a great job. Congratulations!! 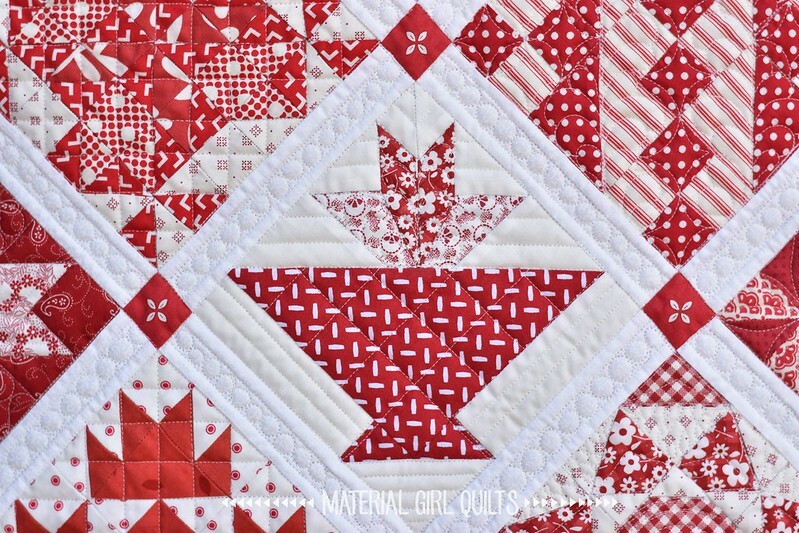 This quilt is amazing….thanks so much for sharing!! 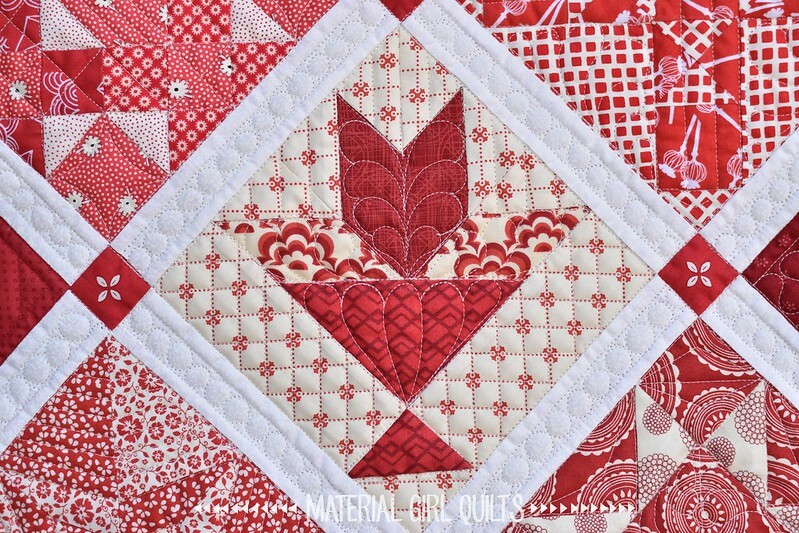 I love that the quilting is so varied over the quilt top…while some of the blocks have the same quilting design, it is apparent that a lot of thought went into choosing how each block could be enhanced by how it was quilted… Love it!!! 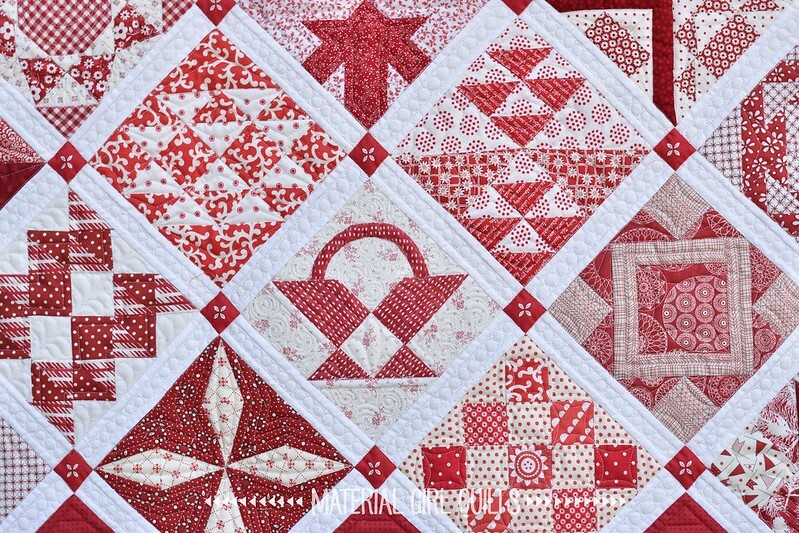 The quilt is beautiful and I love the red border. Wow ! absolutely beautiful in every way ! No doubt that it will be appreciated for generations. Did you do a label ? 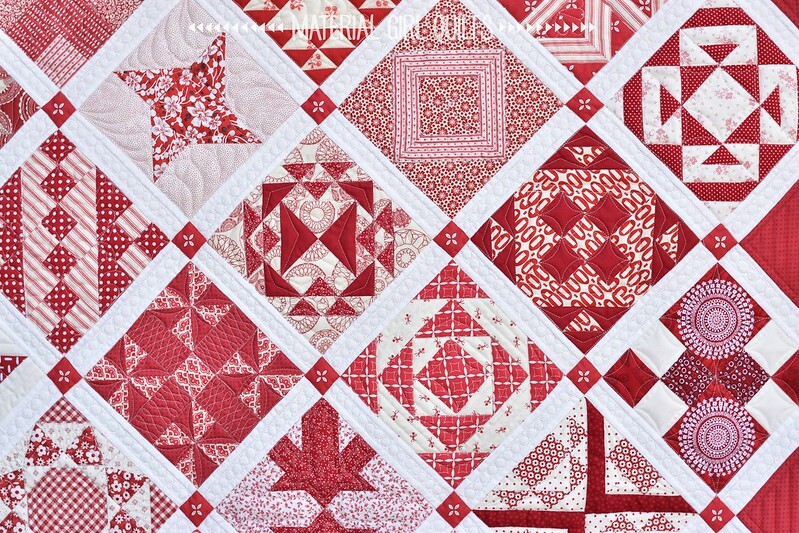 What a gorgeous quilt. Your stitching is so beautiful. 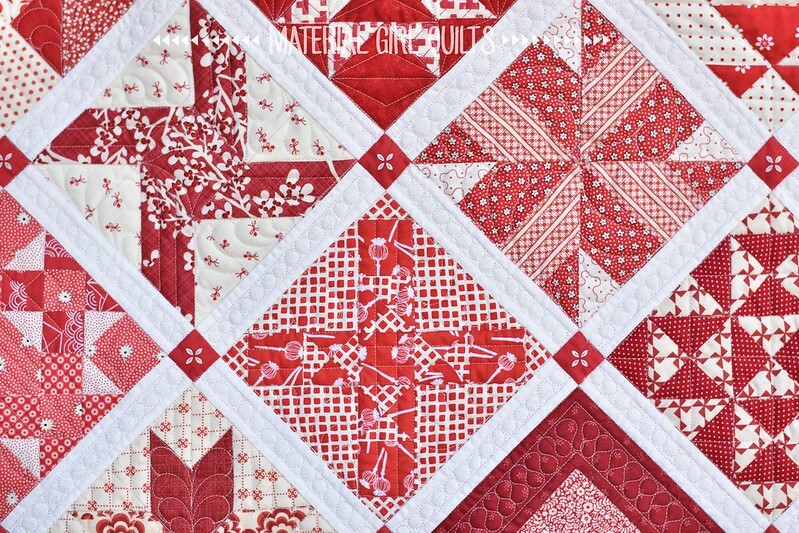 I like how you used more than one quilting stitch. 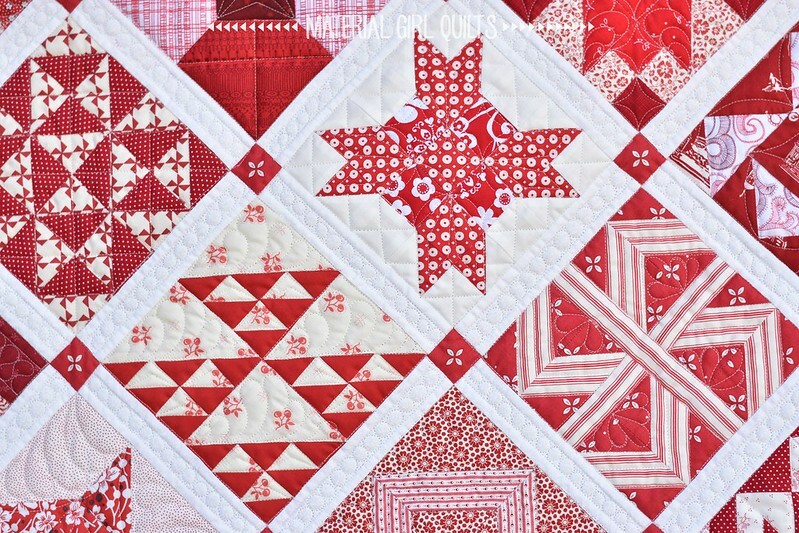 That is a truly pretty quilt. got to see your finished quilt at the Indiana State Fair today! Awesome job on the 1st place. Absolute perfection. My favorite color too. 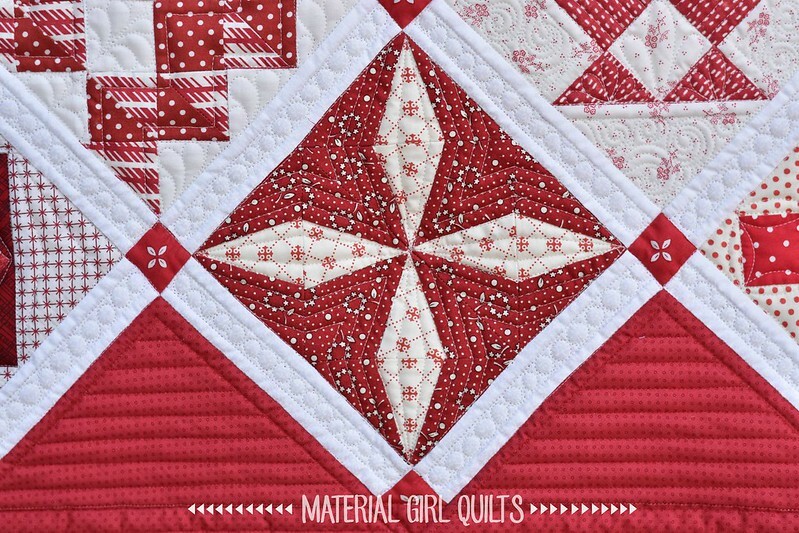 Quick note, Natalia is my cousins daughter so fun to see you used her quilting. She is amazing. 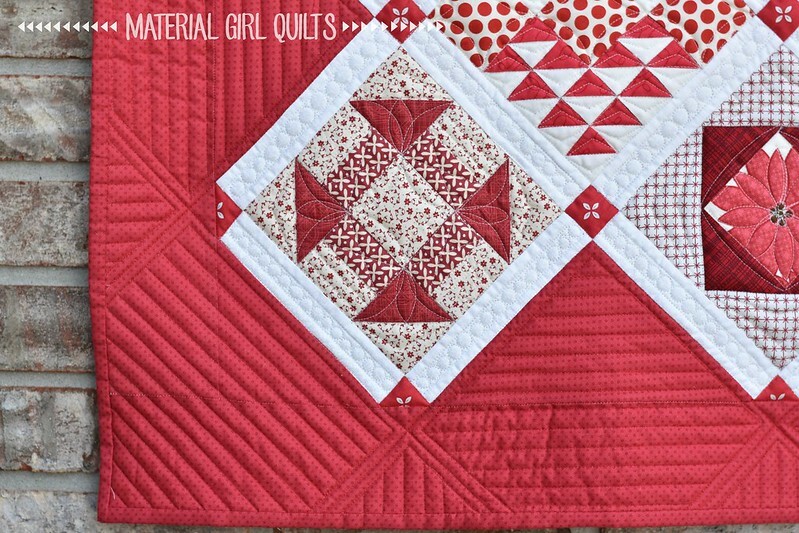 I guess quilting is in the family genes.